The Canadian Agri-Marketing Association (CAMA) Saskatchewan Student Chapter at the University of Saskatchewan placed second in an agri-marketing competition against 29 other agricultural universities. 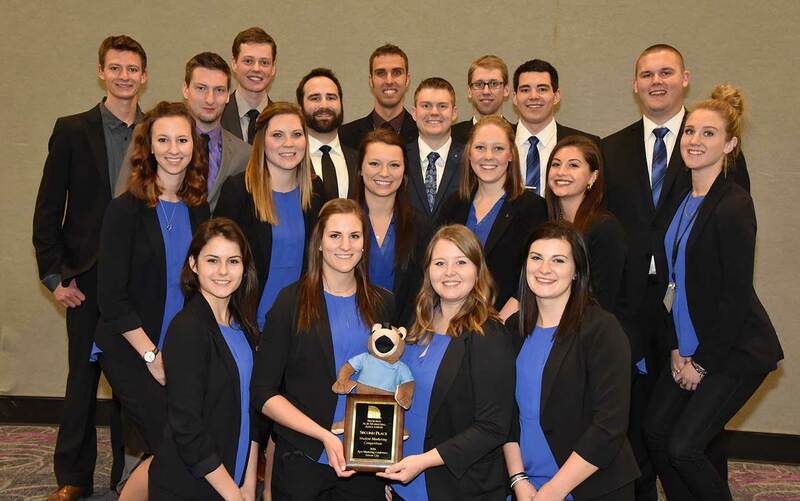 For the competition at the National Agri-Marketing Conference in Kansas City, Missouri held mid-April, teams were required to come up with a product and present a marketing plan. The U of S team’s product, “Go‐Fer‐It” Oatmeal Smoothie, was marketed as a filling, healthy snack for children who live a busy and active lifestyle. The U of S team consists of students from the College of Agriculture and Bioreosurces and the Edwards School of Business. While proud of their accomplishment, it is the practical application of their education that stands out. The competition provided a unique opportunity to apply what they have learnt in the classroom before starting a job. “A class gives you lots of knowledge and book smarts but this group applies that knowledge that you learn in class and puts it in a context where you can apply it to a professional setting,” said Bayley Blackwell, incoming president of the CAMA Saskatchewan Student Chapter. In addition to the experiential learning opportunities the competition offers the students a great networking experience. “You interact so much with the other industry professionals that you really get to get your name out there as well,” said Bailey Ogilvie, incoming vice-president.